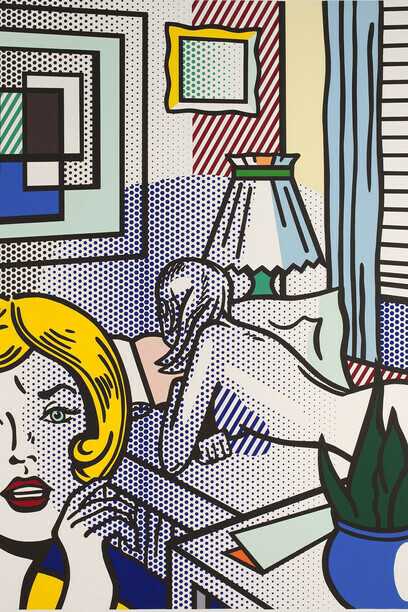 This autumn Tate Liverpool will be showing works by the renowned American pop artist Roy Lichtenstein (1923–1997). 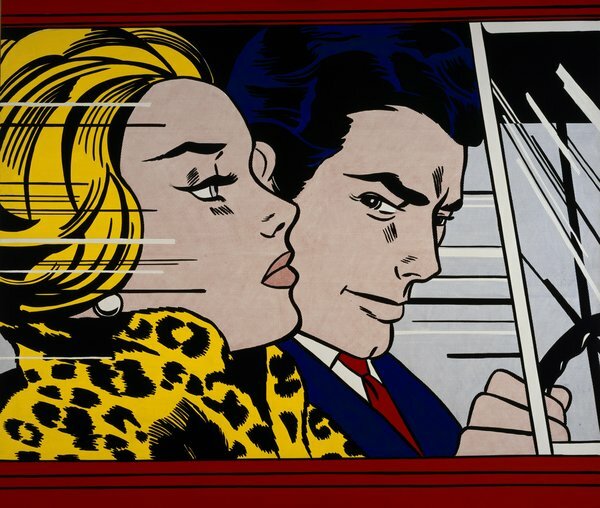 The display includes major paintings such as In the Car 1963 and provides a rare opportunity to see a substantial group of Lichtenstein’s work in the North of England. It includes some 20 paintings, reliefs and works on paper by the artist known for his paintings based on comic strips, advertising imagery, and adaptations of works by other artists. 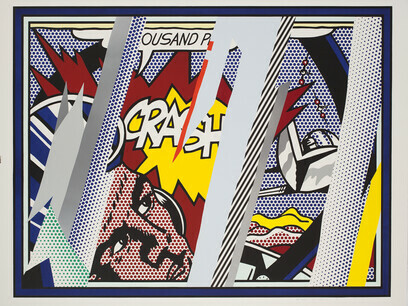 Lichtenstein was a pioneer of the pop art movement that exploded in the early 1960s. In his often monumentally-sized paintings, he makes use of a printing technique that mimics the Ben-Day dots seen in comic books and commercial newsprint. This became synonymous with the influence of popular mass culture on the look and subject matter of avant-garde art at the time. 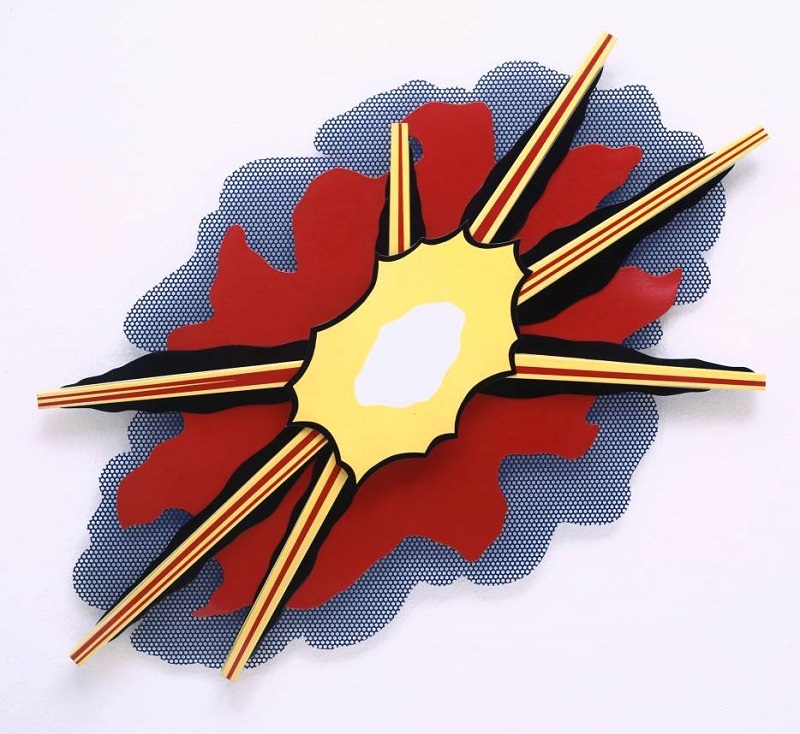 Fascinated by the arresting and emotionally charged imagery found in romance and war comics, Lichtenstein sought to recreate in paint the immediacy and impact of these simplified printed images. This display examines how the artist’s work draws on art history while also responding to cultural and political changes from the 1960s onwards. and Reflections on Girl 1990. 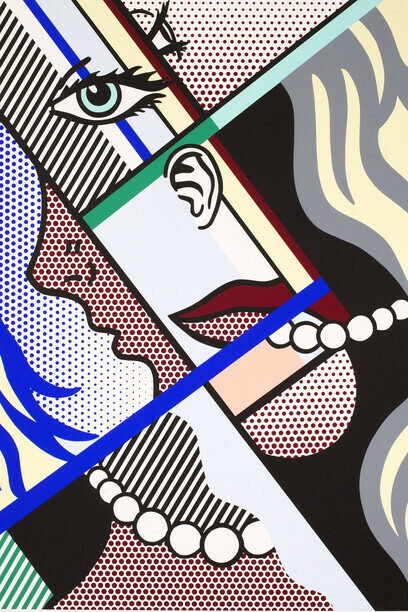 Lichtenstein’s only foray in to film will be displayed for just the second time in Europe. The triple screen film installation Three Landscapes c. 1970–1971 is a mesmerising hybrid of film, painting, billboard, comic strip and kinetic spectacle. Bringing together painting, sculpture and video from throughout Lichtenstein’s career, this exhibition constitutes a key body of work, drawn from ARTIST ROOMS - a collection of international modern and contemporary art, established through the d’Offay Donation in 2008, and jointly owned by Tate and the National Galleries of Scotland - alongside major loans from both institutions and the Roy Lichtenstein Foundation. 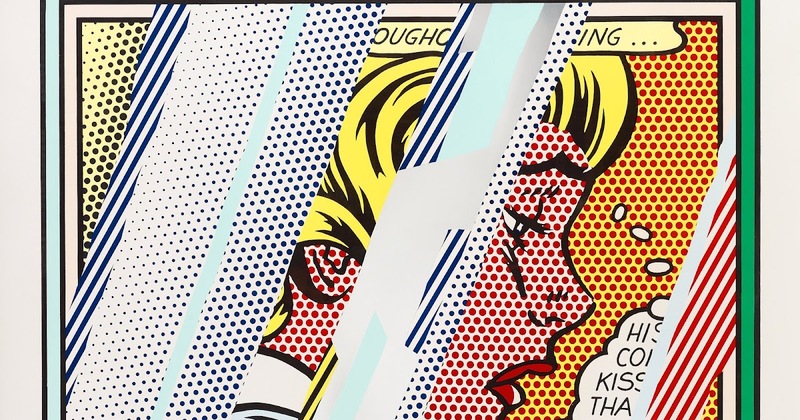 ARTIST ROOMS: Roy Lichtenstein in Focus is curated by Darren Pih, Exhibitions and Displays Curator, with Lauren Barnes, Assistant Curator, Tate Liverpool. Roy Lichtenstein (1923-1997), Modern Art I, 1996, Screenprint on Lanaquarelle watercolor paper, 130.2 x 96.2 cm, Artist Rooms National Galleries of Scotland and Tate. 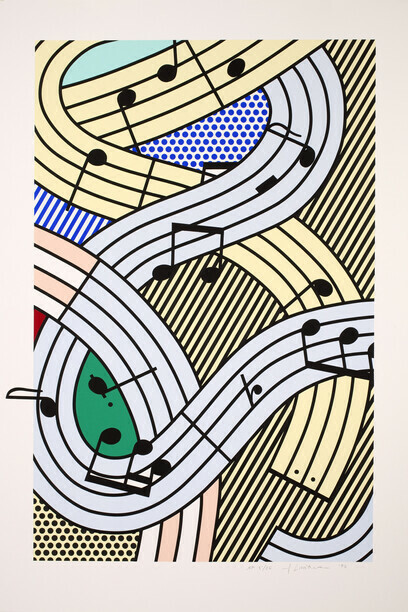 Lent by The Roy Lichtenstein Foundation Collection 2015 © Estate of Roy Lichtenstein/DACS 2015.